For those of you who have actually finished an amateur-built plane, you get the old saying that the last 20 percent of any big job takes half the time. When it comes to homebuilding, that last 20 percent of the job is typically associated with installing the engine, applying paint and, yes, installing avionics. That last one, avionics, might sound easy until you’ve tried it yourself. In fact, installing radios can be a bear. Even after you’ve fabricated the radio racks, the job is a lot more than merely sliding in the new radios, flipping the avionics master and firing up XM radio for a little celebratory music. There are a number of challenges associated with avionics installs, but arguably none is as complicated or, if you, heaven forbid, wire something incorrectly, as hard to troubleshoot as wiring your new avionics system. Indeed, it’s one of those jobs that you learn as you go, so the first time you do it is when you make the mistakes you’re supposed to learn from. Only problem is, with this kind of job, that second chance comes at a cost, in both time and dollars. There are a couple of ways to save time and money and head off complications. If you’ve got that friend who knows aircraft wiring inside and out (okay, mostly inside), you can ask or beg for help, and, if they say yes and they’re good, you’re in luck. For those of us less fortunate, we can always go to our local avionics shop, though that can get more expensive than we might have the budget for, and it eliminates much of the savings you hoped to realize by buying your own radios in the first place, instead of from the dealer/installer. One option that we discovered recently might help homebuilders with all of these concerns. Aircraft Spruce & Specialty last year launched a custom wire harness shop that will build harnesses for homebuilders based specifically on the airplane they’re building, the radios they have selected to go in their panel and any other considerations, such as remote mounting or standby installations. Aircraft Spruce technicians do the work at the company’s shop in Corona, California, and the quality of the work—we had a chance to witness firsthand a harness being put together—was top-notch. You get high-quality wiring and connectors, just the right length, so there are no bad surprises of the too-short variety, and you avoid the extra weight and hassle that homebuilders often create for themselves when they play it safe and make their runs longer than really necessary—as a “little” longer than necessary often turns into “way” longer than necessary. 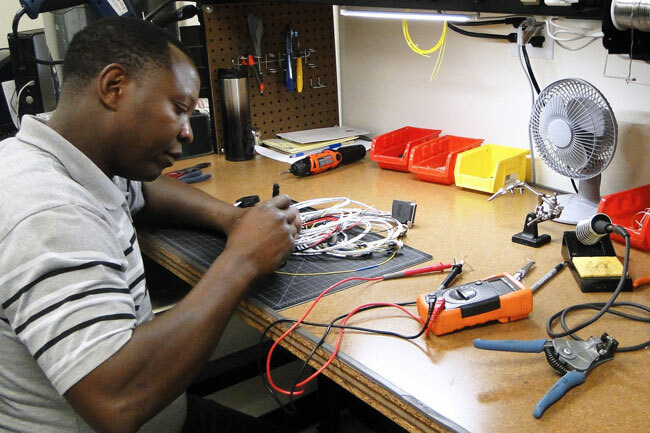 Learn more at Aircraft Spruce & Specialty Avionics Wire Harness Shop. Want to read more about building and modifying aircraft? Check out our Modifications Archive.